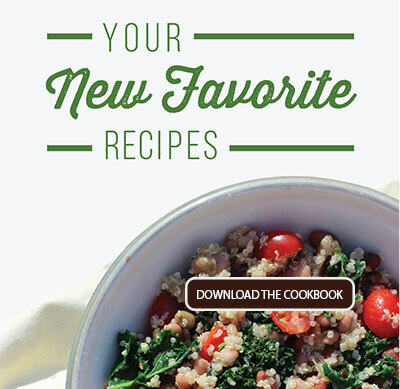 You’ve been cooking meals for the whole family lately, but how about something just for you and your spouse? If the kids are out of the house this weekend, plan something special. 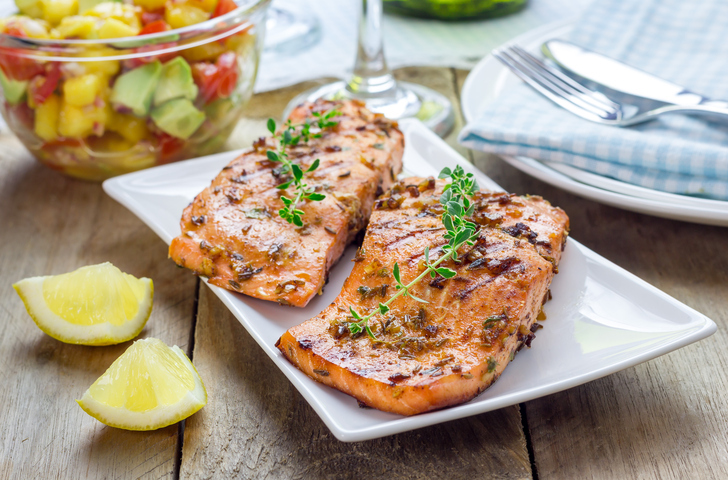 Salmon is a great choice of fish for a romantic dinner. It’s hearty, delicious and one of the easiest to cook. This grilled salmon recipe couldn’t be simpler. All you need it to let the fillets marinate with a little bit of olive oil, salt and pepper. These three ingredients alone are all you need to extract and enhance the full, meaty flavors of the fish. 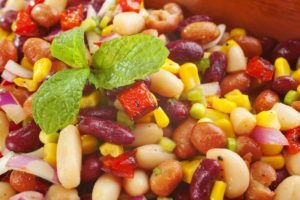 But, of course, this wouldn’t be a Randall Beans recipe without some delicious beans thrown into the mix! This simple grilled salmon recipe is made even better by preparing it with a zesty pinto bean salsa. Our pinto beans give the salsa a good hearty body, while green chilies and jalapenos give it a little kick. Don’t worry though, the beans, along with fresh corn and cilantro, keep the salsa in check from getting too spicy. This is a recipe that is truly greater than the sum of its parts. Both the salsa and fish are easy to prepare and serve, making this recipe a fun recipe for even the most inexperienced cook. However, the delicious dish you will create is anything but boring. Full of flavor and flair, this recipe is sure to impress anyone you serve it to. Cut the corn from the cob. 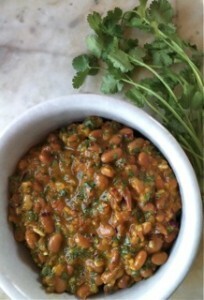 Gently toss together the corn with the Randall Beans Pinto Beans, peppers, onion, cilantro, chili powder. This recipe is perfect for an intimate night together with a loved one. But, come Sunday, it’s time for football! 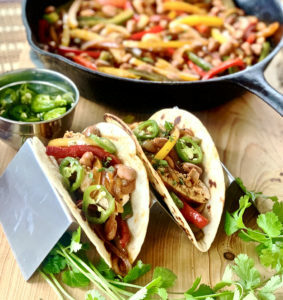 Be sure to make Randall Beans a staple at your next game day party by downloading a free copy of our Football Food Cookbook. It’s full of recipes for game day favorites like chili, nachos, taquitos, buffalo dip and salsa, all featuring our delicious Randall Beans.